A capacitor is an element characterized by storing charge and providing electrical capacity. Its basic structure is a dielectric between two electrodes, plus a protective package. According to the classification of packaging materials, there are two main types of capacitors, one is a molded case capacitor, and the other is a metal case capacitor, the metal case capacitor accounts for 70-80% of the capacitor. 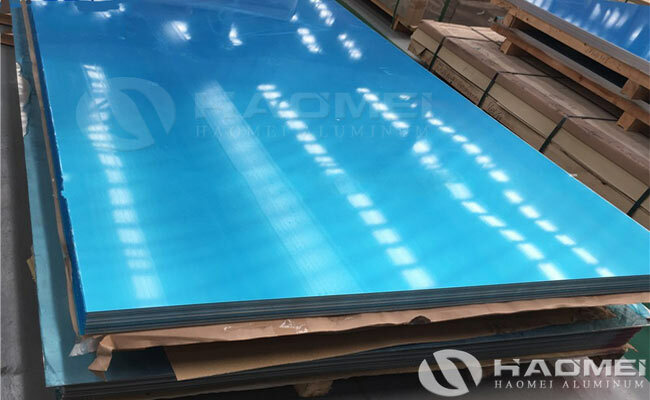 Among them, aluminum plate used for capacitor shell are recognized as ideal environmentally friendly electronic materials by the electronics industry due to the light weight, good process formability, high recycling efficiency, energy saving and environmental protection. Aluminum for capacitor case is a high-precision and ultra-thin aluminum plate. Most of the alloys used in the market are 1050, 1060, 1100, 5005 and 5052. The special requirements for the forming process of electrolytic capacitor casings are required the aluminum plates must have excellent deep drawing properties. Electrolytic capacitor have stricter requirements on materials, surface quality, dimensional accuracy, especially the earing rate and dimensional tolerances of the punching performance. In addition to meeting the strength and plasticity requirements required for deep drawing processes, the ear rate is also a major measure. The factors affecting the rate of earing rate are metallurgical quality, casting method, alloying elements and process system, especially the process system needs to achieve the best match. Otherwise, the ear rate will be too high, which will affect the quality of aluminum plate used for capacitor, and then, the cost will be increased. If the ear-making rate is controlled and the plasticity of the material is raised, the amount of trimming will be greatly reduced, and the number of deep-drawing forming can be reduced, and the benefits are obvious.